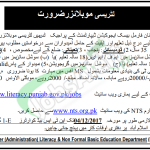 Have the recent job offer from Punjab Literacy and Non-Formal Basic Education NTS Jobs 2017. Applications are being offered from L&FBED Literacy and Non-Formal Basic Education Department is looking to recruit the following position for Project of Literacy and Non Formal Basic Education Department and for this it is looking for educated, experienced and professionals for the following position such as (Literacy Mobilizers) are the positions which needs to be filled before the due date. The above-mentioned positions are on Project-based so it should be assumed that above-mentioned position will be recruited on purely contract basis till the end of the project and on satisfactory performance of an individual. Attractive pay package will be given to the applicants with suitable atmosphere with growth opportunities. Now, I will let you know about its further details. The overall qualification which is required includes MPhil/MS/MA in Social Sciences/BS Honors/Graduation Social Sciences with valid driving license and grip on MS Office. Candidates with age between 20 to 35 years are eligible to apply. 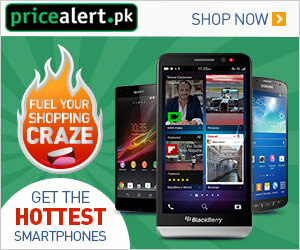 Applicants may download an application form and a deposit slip from the official site www.nts.org.pk. Applications along with original deposit slip of Test Fee in favor of NTS, attested copies of educational certificate, Domicile, CNIC and two recent photographs should reach the following address. Candidates shall submit their test fee through prescribed deposit slip in any online branch of HBL, MCB, UBL or ABL. The last date for submission of application is December 12, 2017. Roll No. Slips and Sample Paper can be obtained from the from NTS website. No TA or DA or any other expense shall be paid by L&NFBED for all modalities/stages of recruitment process. Last Date to Apply: December 12, 2017.